This can only apply to individuals (including sole traders and individual members of a partnership). Bankruptcy petitions may be presented to the court by the individual, by creditors who are owed £5,000 or more, or by the supervisor of an individual voluntary arrangement. A bankruptcy order is made by the court. How do you make someone bankrupt? If you are owed money and the debtor cannot pay their debts then you can apply to the court using a "bankruptcy petition". A "bankruptcy order" ensures that the assets of the debtor are shared out fairly among the creditors. Bankruptcy does not necessarily mean that you will get paid everything you are owed. Costs to make someone bankrupt include the petition deposit of £750.00 towards the costs of administration of the bankruptcy. This will only be returned to you if the bankruptcy has enough assets. The court fee of £280.00 and any costs for instructing a solicitor. a settlement is not agreed within 21 days and the debtor has not applied the statutory demand to be set aside. How do I present a bankruptcy petition? Statutory Demand forms first need to served on the individual in person. As a creditor you must have a "certificate of service". It is usual to instruct a process server to do this for you. Form 6.9 use if a High Court Enforcement Officer or Enforcement Agent (Bailiff) acting on a court judgment has been unable to take control of enough assets to clear the debt. You must complete searches for bankruptcy petitions presented against the debtor in the last 18 months. 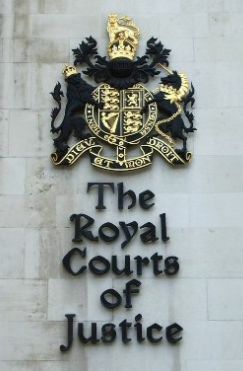 The searches are to be carried out at The Royal Courts of Justice, the Central London County Court and any other court where the debtor is resident in England and Wales and the proceedings are not allocated to the London Insolvency District. I/we certify that I/we have conducted a search for petitions presented against the debtor in the period of 18 months ending today and that [no prior petitions have been presented in the said period which are still pending] [a prior petition No 0000000 has been presented and is pending in the [Court] and we are issuing this petition at risk as to costs. How do I file a bankruptcy petition at court? Produce 3 copies of your petition pack. One is served on your debtor, one is attached to your statement of truth (Form 6.13a) and one can be served on any supervisor or an individual voluntary arrangement of the debtor. File these with the Court with your Court fee and deposit.